Last month I blogged about loving and embracing my curls, but sometimes a girl just wants to have fun with straight hair. 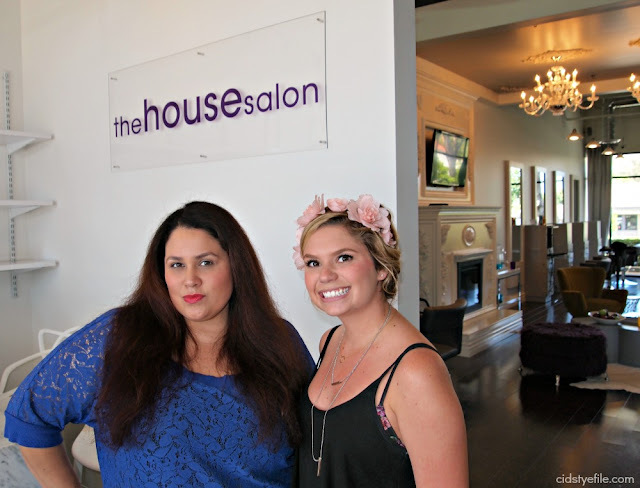 I was invited to a new salon in Orange County called The House Salon for a complimentary blowout by stylist Morgan. Morgan introduced me to the new salon and gave me a sample of what they have to offer at The House Salon. Inside The House Salon, love the decor and open floor. The House Salon is located in Mission Viejo, CA and just opened a couple weeks ago. 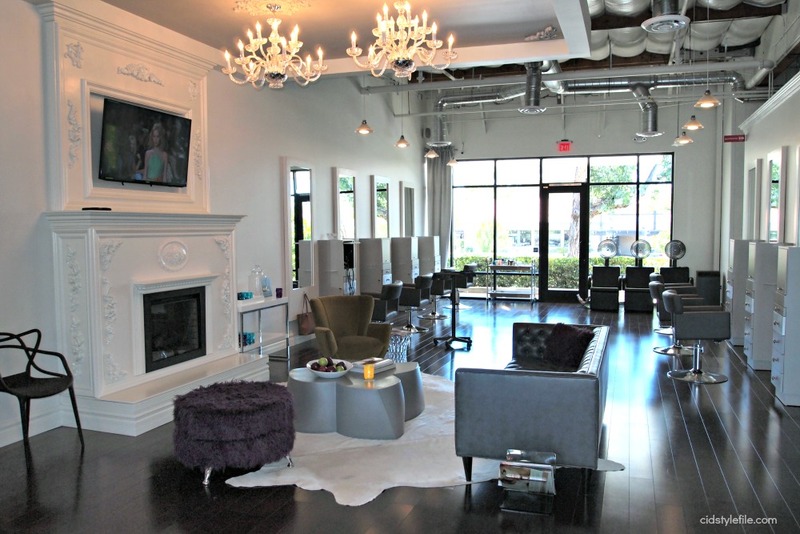 It's a very modern and spacious salon, offering many services from cuts, color, blowouts and much more. I loved the salons decor and its open space layout. They have a great waiting area with a TV, fireplace and chandeliers. You feel like you are in a fancy home and not a hair salon. Morgan drying my hair right after shampooing, whoa my hair is so long! Morgan gave me a shampoo with a little scalp and neck massage. She's very gentle and made me feel very comfortable while she shampooed my hair. My hair is quite long, she had her work cut out. 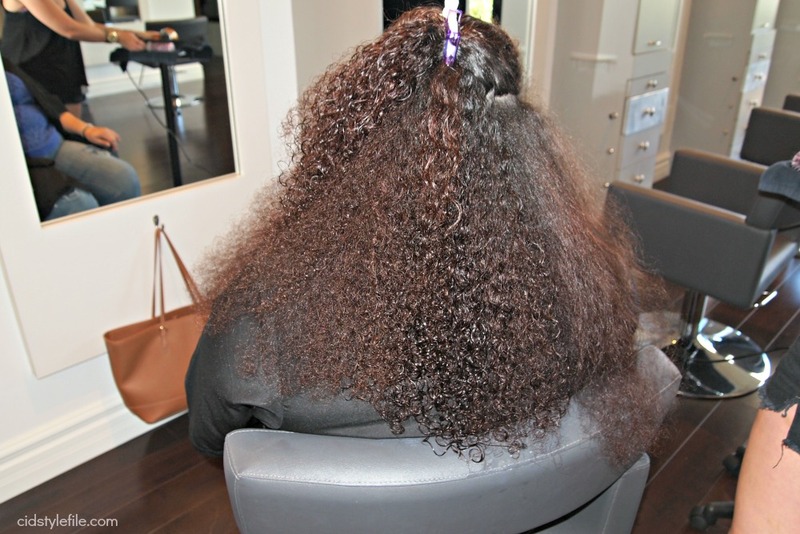 Morgan used Kérastase, L'Oréal Professionnel products, which I love and use at home too! Process of blow drying my hair, its so curly and long. Also love the hooks for your bag below mirror. Morgan began with blow drying my hair, with a round brush and blow dryer. Yikes I don't do my own hair at home because of the length and amount of hair I have. Its no easy task to tackle these curls of mine. After the blow dry, she used the flat iron to straighten my hair, being very precise with my hair line and gentle. The entire process took just a bit over an hour, all the while Morgan was very nice and professional. We chatted while she worked and made me feel welcomed and comfortable the entire time. The end result, nice shiny and soft straight hair, Morgan worked her magic and my curls! The result was a fabulous blowout, my hair looked great! What a difference a blowout makes with my hair. It amazes that just a blow dryer and flatiron will make my super curly hair straight for a day or two. It's fun to change it up temporarily and get a new look. Morgan and I, shes a doll, go see her for all your hair needs! Thanks to Morgan at The House Salon for great service and fab hair. 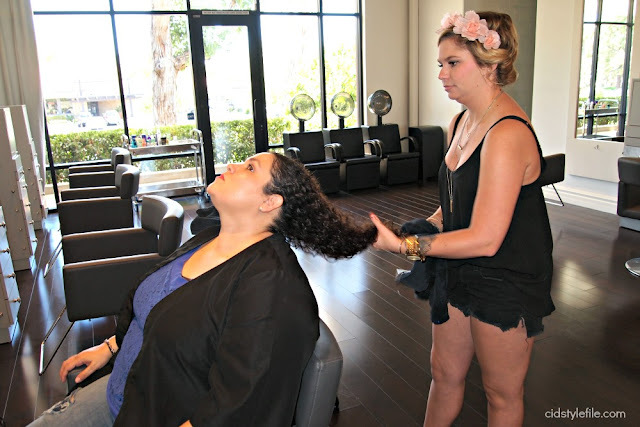 If you are in the OC area and in need of a hair stylist go see Morgan. 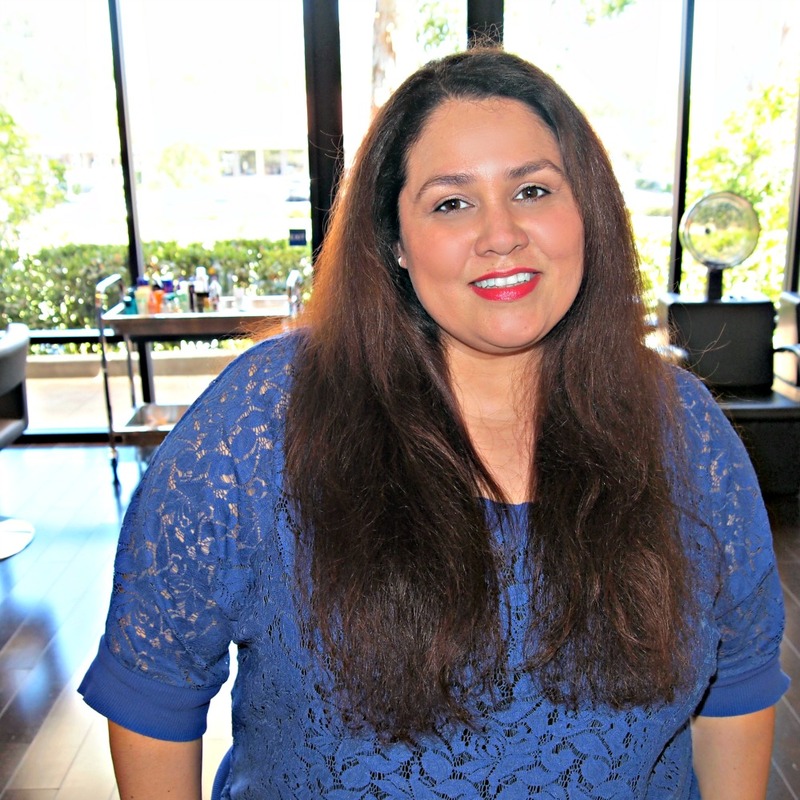 She's very nice and makes you feel welcomed and is very attentive with her clients. You can see more samples of her work on her Instagram and Facebook page. Also find a full list of services and prices on her StyleSeat page, where you can book an appointment as well. Go see Morgan and tell her Veronica from Cid Style File sent you! *Disclaimer: I was invited to The House Salon for a complimentary service. No compensation was received for this post and all opinions expressed are my own. Wow! So beautiful and what a fun experience too! Oh wow, the salon is amazing!! They did a very nice work with your hair!